Hello everybody, hope you all are doing well. 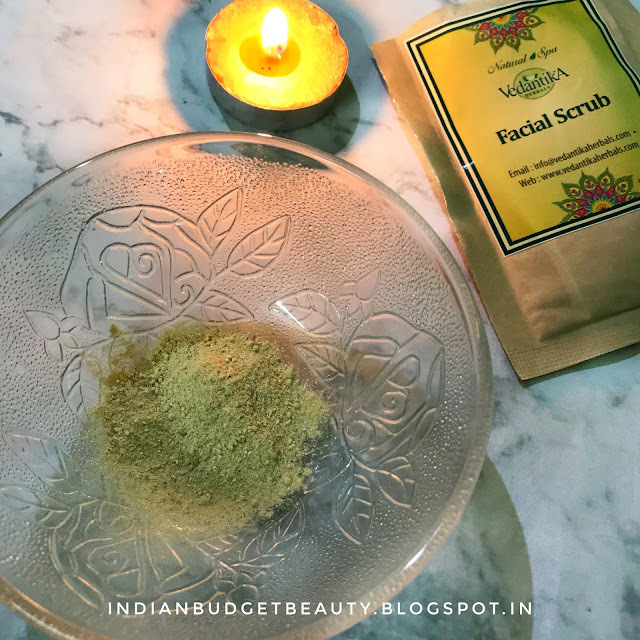 It's been a while since I've reviewed a skincare product, so I'm back with an amazing facial scrub, which is affordable ofcourse. 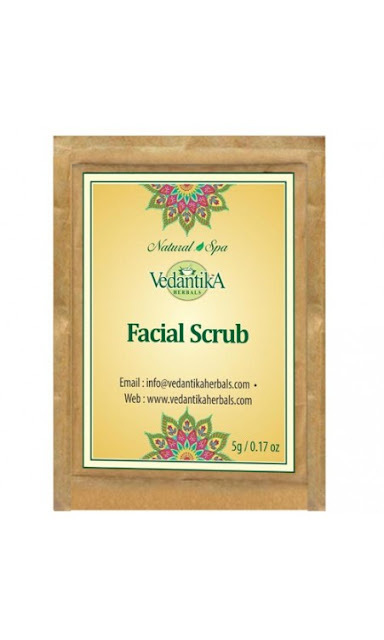 So, when TestnReview along with Vedantika Herbals sent me this sachet Facial Scrub, I was delighted! Let's begin, shall we? 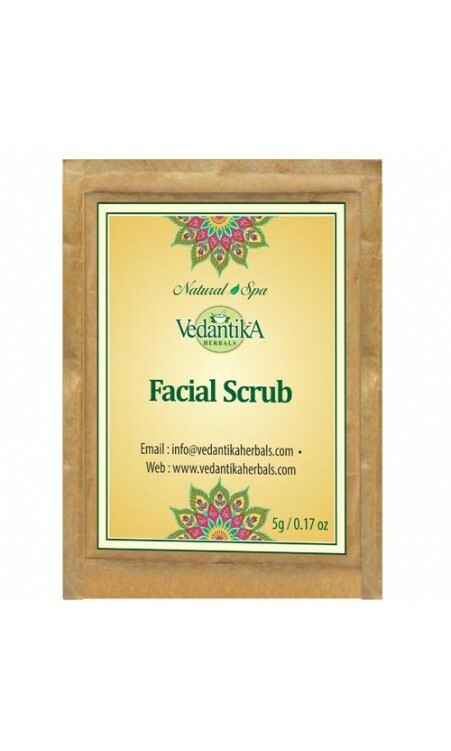 Formulated with Oats, Herbs, Nuts and Pulses this daily facial Scrub Nourishes, soothes and softens as it exfoliate dead cells and pollutants for softer and more radiant complexion. This versatile combination can be used as a facial scrub or a facial mask. Application : Mix with milk, curd or water to form a paste. Apply to the wet area of face, and neck and gently rub in upward directions for few seconds, gently rinse off. If uhave dry skin add few drops of Honey or any oil in paste. The face scrub comes in a small sachet, which contains 5g of product. The packaging has all the necessary details and instructions written on it. The scrub is very finely milt. This single sachet can have at-least 3-4 usage depending upon your quantity. I've used this scrub along with rose water and then gently massaged my face for about 2 minutes and then I've rinsed it off. The first thing that I've noticed is that a) its not at all drying, b) it made my skin brighter c) It have tightened my pores! Oscimum Sanctum (Holy Basil) which possesses dermatological and anti-microbial qualities. It soothes inflammatory symptoms in the skin. Glycyrrhizaglabra (Liquorice ) - It is very good for treating skin eruptions, because of their anti-inflammatory, anti-bacterial and antiseptic properties. Avena Sativa (Oats) - Oats are soothing and emollient. Finely milled, their gentle exfoliation helps leave skin soft and smooth. NOTE: I recommend that you use a toner or rose water to tone your face afterwards, which increases the effective nature of the product.